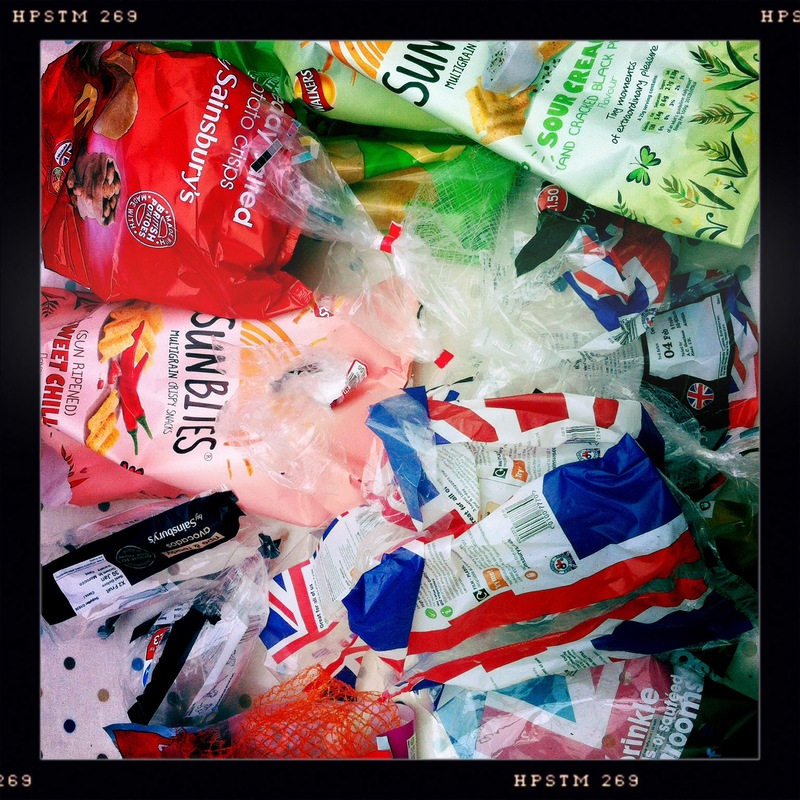 Plastic packaging is a pet hate of mine and unfortunately it is often what fills the majority of my household bin. September is a month of abundance. The trees are raining fruit down on us by the bucketful. This is wonderful as long as you can manage to keep up with the deluge. Often I pass trees that have dropped all their fruit and it litters the floor beneath them, rotting on the ground and feeding only birds and wasps. I totally understand that September is a busy month and the task of harvesting fruit can fall to the bottom of people’s lists. But it always breaks my heart just a little. I am as guilty as anyone, this year I have completely neglected to harvest one of our plum trees. The fruit ripened while we were away in Cornwall and it needed immediate attention on our return. My attention was also needed elsewhere (as always) so this year we have not eaten a single homegrown plum. I am trying not to make the same mistake with the cooking apple tree. I am collecting the windfalls and bringing them into the house, where they sit in a wicker basket and slowly turn brown, then are fed to the chickens. My intentions are to make wonderful crumbles and puree but again real life is getting in the way. I hate this waste but I accept that life is so full currently and sometimes I just have to prioritize what is most demanding of my attention on any given day and ‘let it go’. Reflecting on this has made me more forgiving of the wasted produce I see at the community allotment and school garden. Cucumbers left to rot on the vine, courgettes grown monstrously huge and bolted spinach everywhere. At our first new school year gardening club this week, we spent a good hour harvesting and sharing out vegetables amongst the children. This felt good. So many people don’t have enough to eat, not only in far off impoverished counties, but also in our own neighbourhoods. Wasted food seems like a terrible sin. I think often gardening projects concentrate on the growing of produce and make the mistake of neglecting the harvesting, processing and eating side of the equation. I intend to do what I can to address this in the gardening projects I am involved with. This month’s principle ‘Produce no waste’ is a difficult one to excel at. So I am going to aim for ‘produce a little less waste’ I am going to make a meal plan for the week each sunday and shop accordingly. I am going to try to buy foods with less packaging, I am going to try to cook the correct amount of food and use up any leftovers the following day. I am going to keep on recycling all my kitchen waste to the chickens or into the compost heap. And lastly, I am going to try not to waste my most precious resource of all – time. This entry was posted in Uncategorized and tagged community allotment, fruit and veg, Harvest, Permaculture, Permaculture Diploma, Produce no waste, School garden, Twelve principles for twelve months by emilycrofton. Bookmark the permalink.